Each year the American Hosta Growers Association members vote for a Hosta to represent an excellent hosta for all regions of the country that is reasonably priced and widely available. 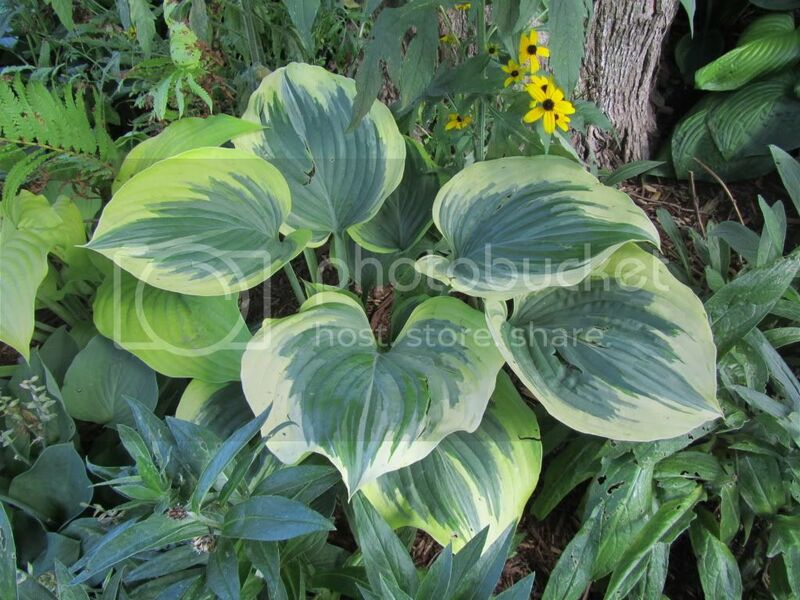 The 2012 Hosta of the Year is Hosta 'Liberty'. Liberty is a slow growing hosta, but patience with this one will really pay off. It starts off in spring with an irregular gold margin, and as summer progresses it turns a creamy white. It can be a real show stopper! Pair this one with dark green or chartreuse colored hostas.